There before him was a slightly wrinkled paper with a long list of spelling words, all needing to be alphabetized … words like “tired” and “tried” and the like. And poor guy, so used to blazing through his homework without too much difficulty, had found this particularly frustrating. He hadn’t gotten it right the first time or the second time … but the third time, as I sat wordlessly besides him (because he didn’t really need or want my answers, just my presence), was thankfully, a charm. Relieved, he wiped his sweaty tears from his face. But by now, his paper had turned soft, war-blown fragile from all the erasing, and to his dismay, a tear had dropped onto the corner of the paper, soaking a small hole through. But he was too tired to object. I watched him carefully slip his homework into the folder, like a defeated soldier hanging up his armor. This tender exhausted soul, for better or worse, just wanted to get it right the first time. What a picture of my own spirit at times. Why does it seem one needs the wisdom of a thousand sages to help a child with his homework? And yet the job falls into hands like mine? It’s humbling when you realize that the very things you struggle with, your children may too. It’s not just doing all we can to get it right, it’s the lie that we cannot be loved unless we are faultless. So it’s moments like these that I must swallow my pride and step back. It pains me to think that perhaps in subtle ways I have placed that perfection on myself, on them, without even realizing it. Perhaps there have been times that should have been followed up with more nearer-to-the-floor-grace, and less “I told you so’s” and “how could you do that again!” and exasperated sighs. Now I want to place my head on the kitchen table and cry! Seriously! I am beginning to see more than ever, that perfectionism is quite a prevalent disease in our privileged, self-sufficient society. It is a time hoarder, health destroyer, and can be a wedge between us and others, our hearts and the very gospel of grace. It just might be one our greatest enemies, so seemingly innocuous that we don’t detect it in ourselves until we see traces we have left on others. So I ask myself in these moments, what does God want from me? I look at my son, and what I want him to know is this — first and foremost, that he is loved, a sinner saved by grace, and he does not have to be perfect in order to earn this love. And second, I want him to remember it is way more weighty what God thinks of him, than what others perceive of him. In my heart, I know he understands. He has surprised us with his resiliency and perseverance many times over. But as it is with many of us, it’s not a perfect understanding. It’s an understanding still being shaped and challenged from time to time. But as his mom, as God’s child, I take comfort in knowing He is patient with me too, as I try to get my life in order. It’s pure joy to know He delights in us still, even while we are in process. I really think, to start to be wholly well in our souls, the disease of perfectionism has to stop. Do you agree? Quick story to end. 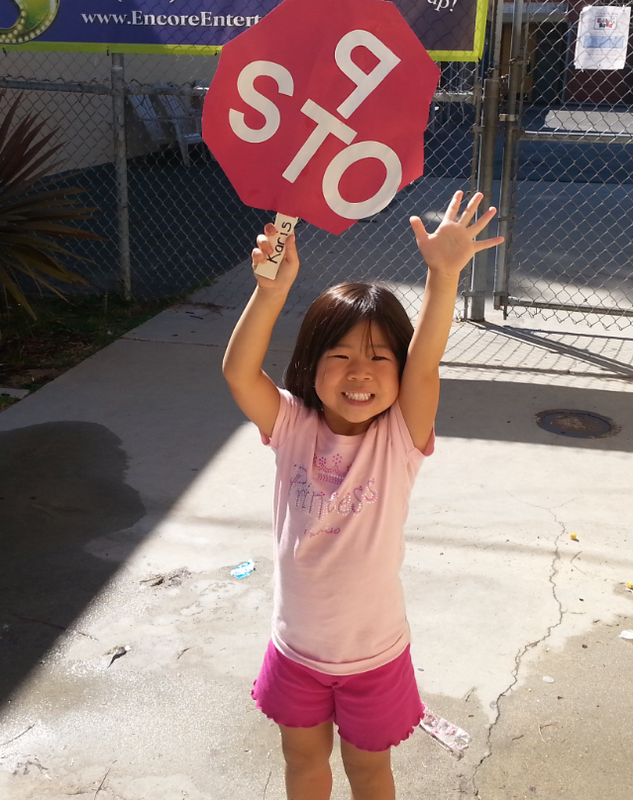 My daughter came home from a successful day at preschool with this stop sign she made in class. She was so proud because she had made it all by herself. “Do you love it, Mommy? Do you love it? !” She jumped up and down excitedly, waving the stop sign in the air. I took one look at it. It was PERFECT. And maybe this is precisely what Christ has done for us? Thankfully, the Lord is merciful and willing to forgive and teach us through the imperfections. Heather, I thank you for your comment. Yes, I agree, it is a form of idolatry. But like you, I am so thankful for new mercies every morning. And yes! When my daughter showed me this stop sign … God reminded me right then of how much he loves us despite our imperfections. Thanks for visiting the blog! Marla, thanks for yet another meaningful comment here on my blog. 🙂 I too can relate to all that you list as struggles. You are not alone. The story of Mary and Martha is one I have to keep in my heart at all times. I am so not close to perfect, so I have no idea why I even think I can seem this way to others, honestly! “His grace makes up the difference after I have given my best.” That’s right! So powerful.